Set of punches with numbers or alphabets. Font size: 1, 2, 3, 4, 5, 6, 8 and 10 mm. Material: Tempered steel of 56 to 58 HRc. 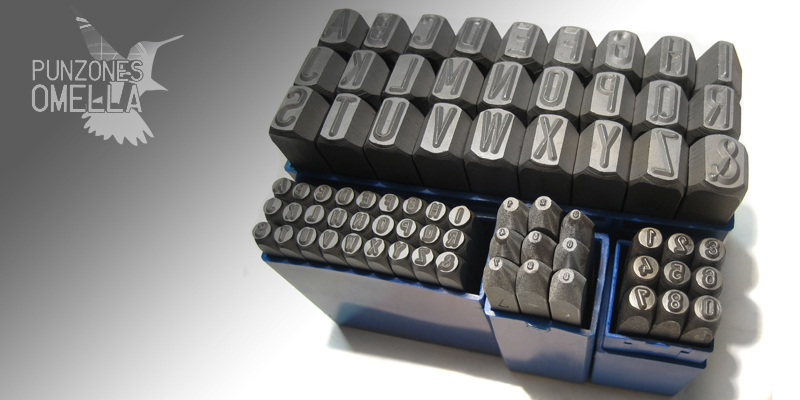 Set of punches with numbers from 0 to 9 and A to Z alphabet to mark text and numbers to hammer. Standard with typeface DIN 1451 typeface.